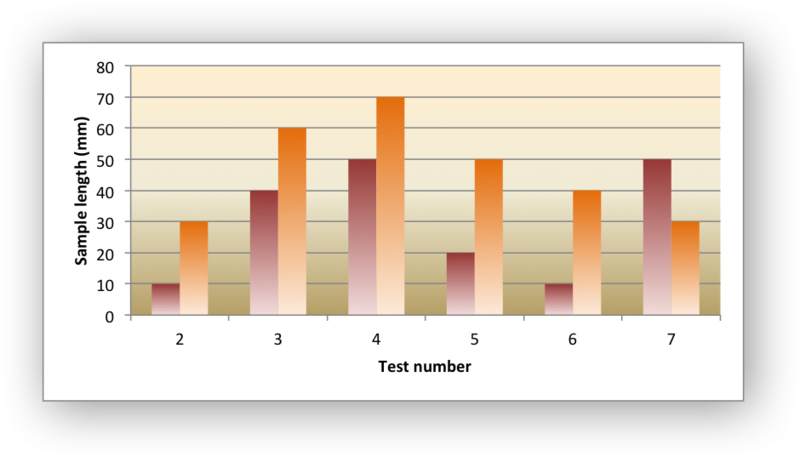 Example of creating an Excel chart with gradient fills, in the columns and in the plot area. # Create a new column chart. # Configure the first series, including a gradient. # Configure the second series, including a gradient. # Set a gradient for the plotarea. # Add some axis labels. # Turn off the chart legend. # Insert the chart into the worksheet.